Put in floors that deliver the longevity and performance you need while adding to the overall aesthetic appeal of your home. 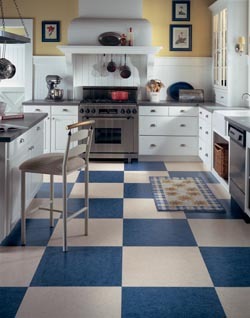 Luxury vinyl tile and other types of resilient flooring is a smart investment that looks great and lasts a long time. If you are shopping for luxury vinyl flooring, look to our flooring store for the most attractive and long-lasting options. For your convenience and complete satisfaction, we highly recommend you allow us to take care of your luxury vinyl flooring installation. Technological advancements in floor manufacturing have led to the development of luxury vinyl floors that are more beautiful and convenient than ever before. Our store carries luxury vinyl tile (LVT) designed to replicate the appearance of premium tiling materials such as stone, ceramic, and porcelain. We can customize the surface of your LVT to have the colors and patterns you desire, further adding to its authentic look. It also is soft underfoot, making it ideal for families with young children. Another option is luxury plank flooring that mimics the look of hardwood. Just like real hardwood, you get to choose which wood species, color, and grain pattern you want for your new floors. Luxury plank flooring is made from synthetic materials that are resistant to surface to scratches and impervious to warping. This convenient alternative to hardwood requires very little upkeep and is one of the best value purchases available on the market. As a quality-first flooring provider, you can expect all of our resilient flooring products to stand the test of time while retaining their beautiful appearance. Take advantage of our reasonable prices and expansive selections to outfit your entire home with the gorgeous flooring that perfectly complements each room’s interior. Luxury vinyl flooring is a type of resilient flooring that is specifically manufactured for enhanced strength and durability. If you have children or pets in your home, these floors can withstand the wear and tear of your daily household routine. These floors are also great for rooms frequently get wet, such as bathrooms and kitchens, since they do not absorb liquids. Luxury vinyl can give you the ceramic look with zero chance of mold growth, or the appeal of hardwood without the risk of warping. After you make your purchase, we offer quality installers that are standing by to put in your new flooring. We have experienced flooring technicians to perform your luxury vinyl flooring installation. Rest assured your installation will happen without a hitch, leaving you with a flawless new floor that fits your home seamlessly. All of our products and installations are backed by warranties to protect your flooring investment. Contact us with any questions about the many design options available with luxury vinyl flooring. We are convenient located to serve customers in and around Fort Myers, Coral Gables, Punta Gorda, Bonita Springs, and Naples, FL.